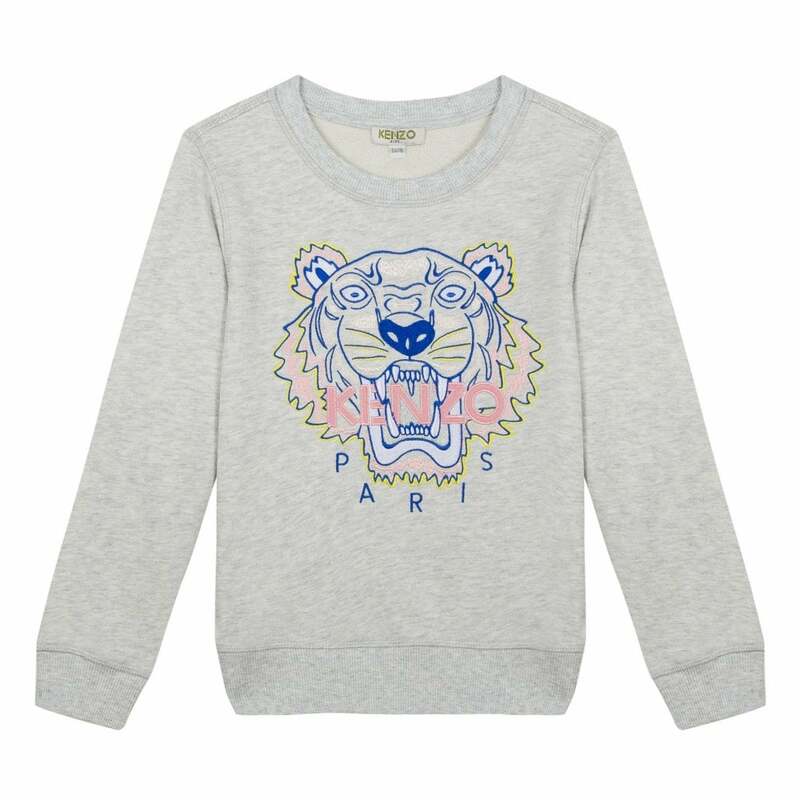 This Kenzo Kids JG 5 Embroidered Tiger Sweatshirt is 100% cotton and is grey in colour. It features an embroidered Maxi Tiger detail on the front with Kenzo Kids branding. It has long sleeves and a crew neck. It is ideal for any casual occasion.